The process of joining a gym and beginning a fitness program can be intimidating, but the friendly staff at Larry North Fitness in Dallas is here to help. Our trainers would be more than happy to discuss your fitness goals with you and design a workout program to help you achieve them. We understand that each person will have different goals and are at different places in their lives, so we tailor each exercise plan we design in Dallas to each individual. Our programs will help you develop a routine that will fit into your everyday life in Dallas, which is crucial to helping you achieve your aims. Larry North Fitness in Dallas provides a wide variety of programs for people looking to get in shape in the Dallas area. From specialized personal training to exciting group exercise classes, you’ll be sure to find a program you like at one of our two Dallas locations. Our fitness club members are like members of our family, and we will help you every step of the way on your quest to get in shape. Drop into one of our two Dallas locations or contact us via phone or email today to learn more about how we will help you get in shape. When you start working out at one of our fitness clubs in Dallas, you’ll start feeling the benefits immediately. You’ll experience an increase in energy, a decrease in stress, and a higher enjoyment of life. 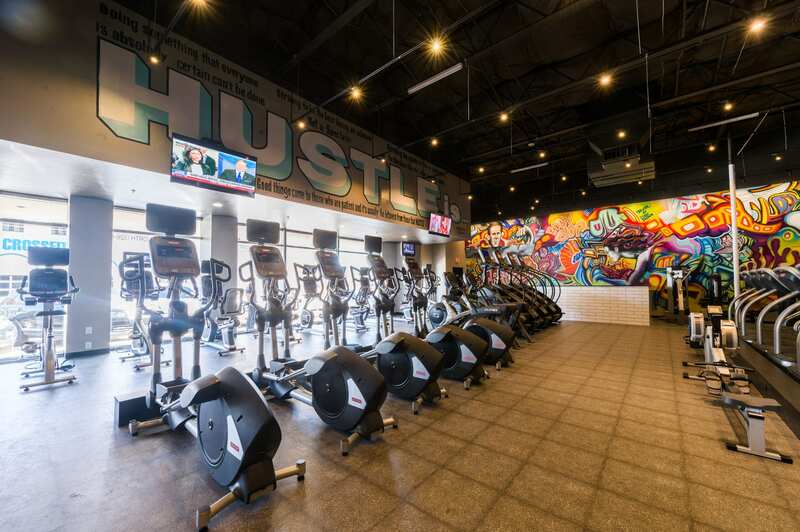 You’ll love working out on our modern, state-of-the-art equipment with our highly-trained staff members and trainers to guide you along the way. You’ll always leave our Dallas fitness club feeling refreshed, clear-headed, and ready to take on anything that comes your way. Our welcoming and inspiring atmosphere will keep you coming back, so visit one of our two Dallas gyms today to see why our clients love us. Our weight loss and workout programs are great for Dallas residents who are just beginning on their fitness journey. We'll design a program for you that is tailored to your needs and your overall health and wellness goals. The idea of getting in shape can be intimidating, but our friendly staff is here to help you on your journey and make the process go as smoothly as possible. Contact our team in Dallas today to learn more about our fitness programs.